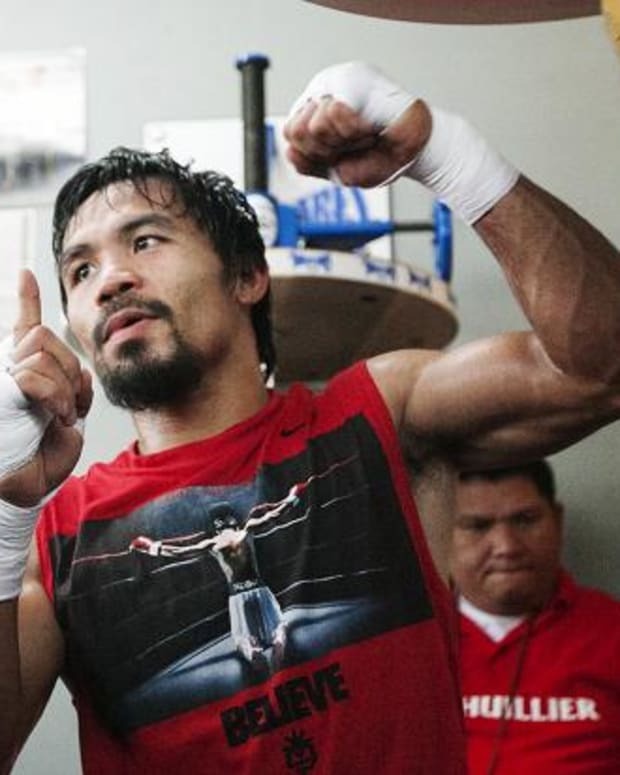 Manny Pacquiao and Brandon Rios don’t have any hostility towards each other. They have said all the right things and performed the way you would expect them to at media events, however, there is no animosity there. They are just two fighters preparing for a high-profile bout. Nothing more, nothing less. The same doesn’t hold true for their camps. Everybody knows by now the deal with Alex Ariza. 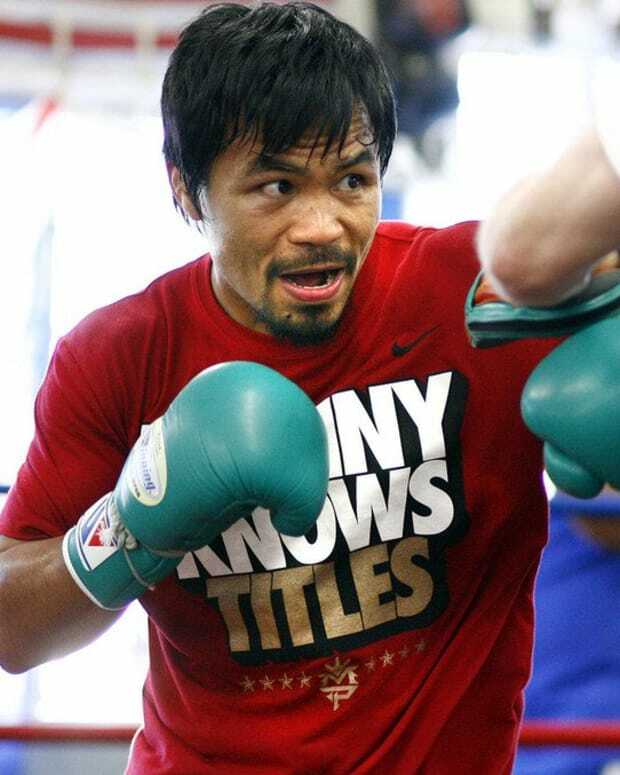 He was previously Pacquiao’s strength and conditioning coach, but he constantly bumped heads with trainer Freddie Roach. While Pacquiao was winning, the two made it work. When the Filipino star hit a rough patch last year, Ariza was kicked to the curb. A few months later, he found himself in Rios’ corner. What most people aren’t aware of is the history between Roach and Robert Garcia, Rios’ trainer, from 2010. Pacquiao was scheduled to fight Antonio Margarito at the time, and prior to the bout, Garcia was caught on camera mocking Roach’s Parkinson’s. Naturally, there has been some hostility ever since. 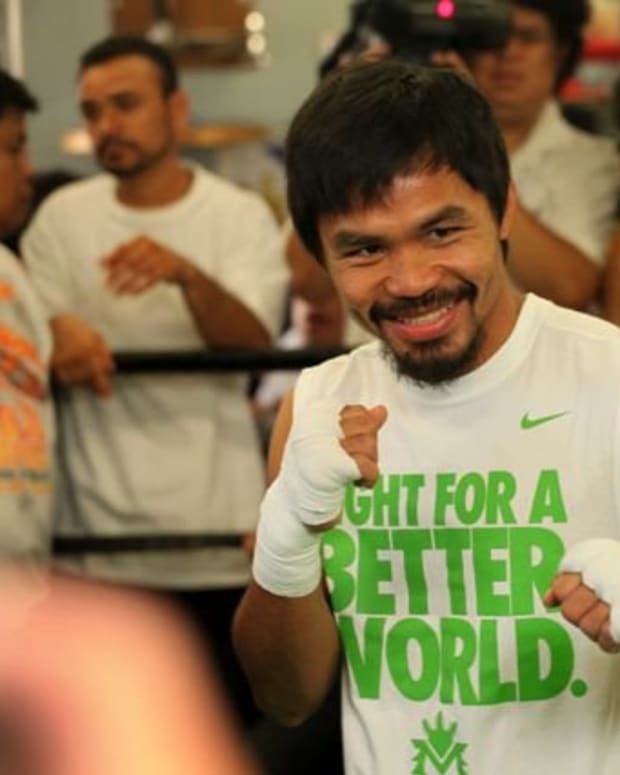 Yesterday, a strange mini-brawl took place between Pacquiao’s camp and Rios’ camp over access to a gym. Yahoo! Sports was able to get footage of the event, and it kind of speaks for itself. You can check he whole clip out below. Roach, Garcia and Ariza all played central roles. While it’s impossible to say who started what, and who is at fault for Tuesday’s melee, it’s not a stretch to say that it wasn’t staged. There has been some speculation about that over the past 12 hours, for obvious reasons, but it’s clear that the hostility displayed was very real. 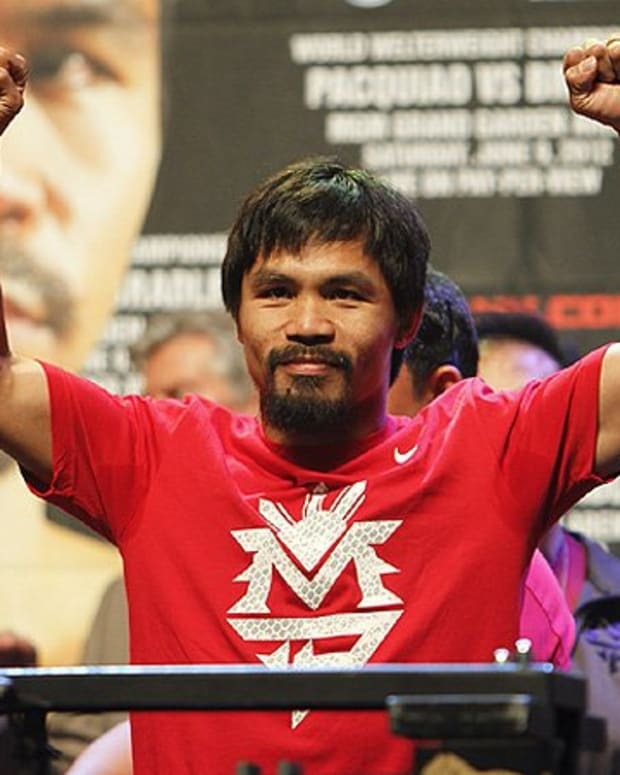 Manny Pacquiao Getting Cocky About Brandon Rios Fight?